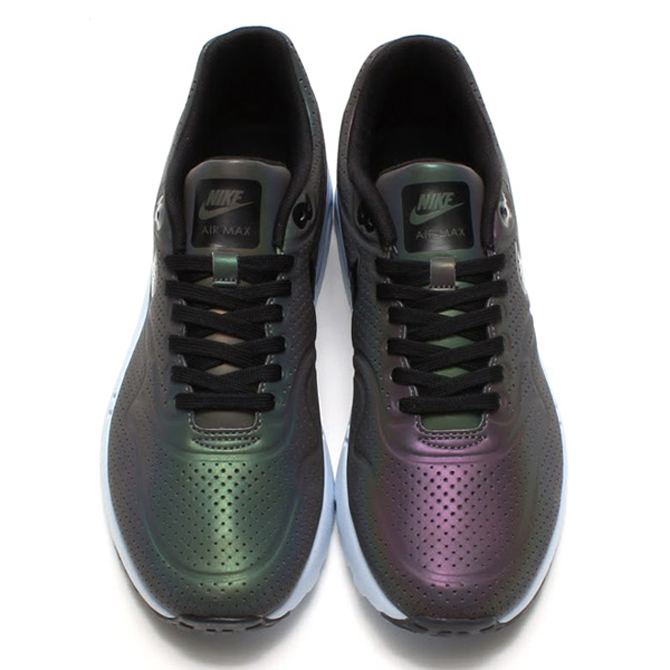 Featuring the Air Max 1 and Air Max 90. 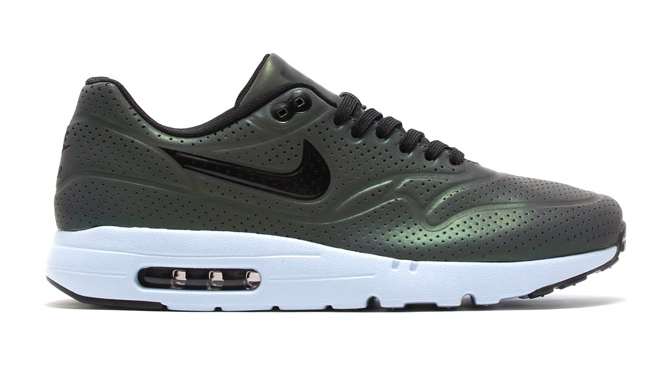 Nike Sportswear will turn the flash factor up with these two upcoming Air Max releases, which both feature all-over reflective materials. 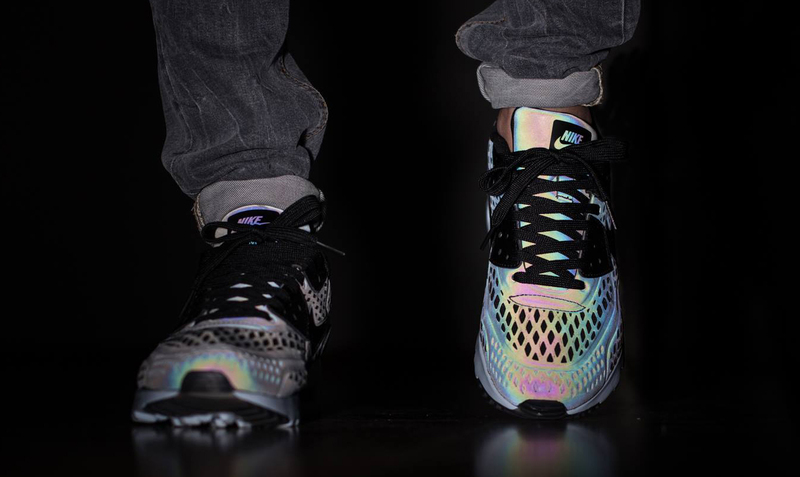 On the surface the reflective touch used on the two shoes actually looks sort of like the one on the "Xeno" adidas pack from All-Star weekend, although it's unclear if these can achieve the whole rainbow shine look. 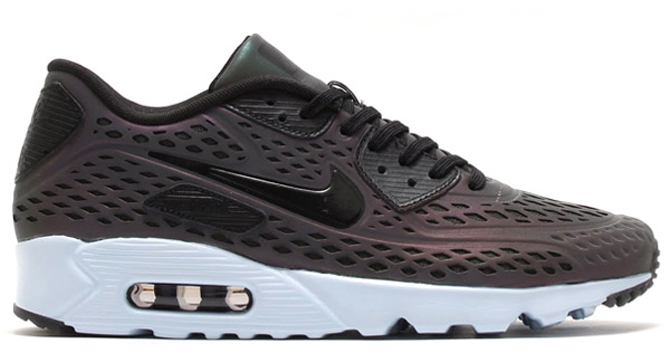 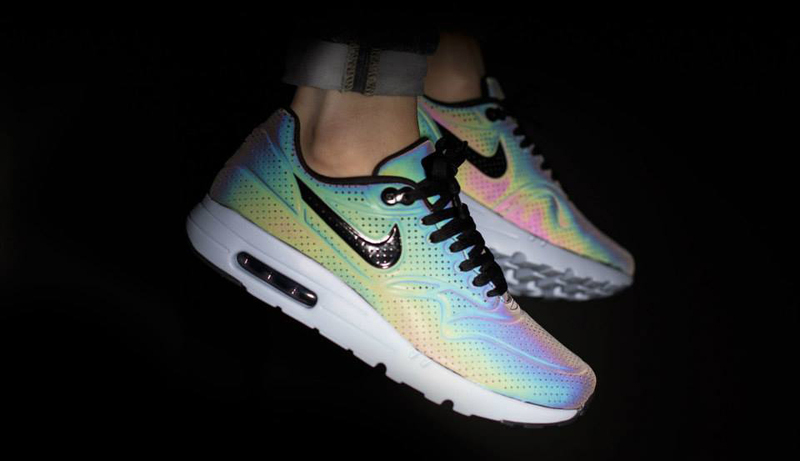 Both of the Air Maxes included are newer takes on retro builds: there's the Nike Air Max 1 Ultra Moire and the Nike Air Max 90 Ultra BR. 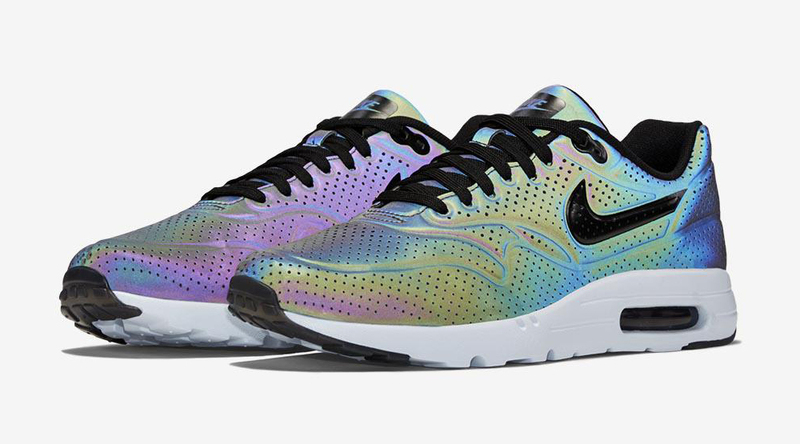 These Nike Air Max "Iridescent" styles are already showing up at Japanese retailers, which means a U.S. drop shouldn't be far behind. 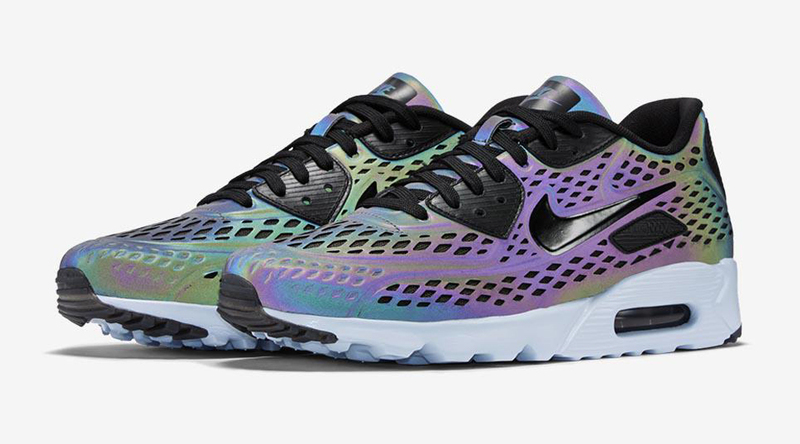 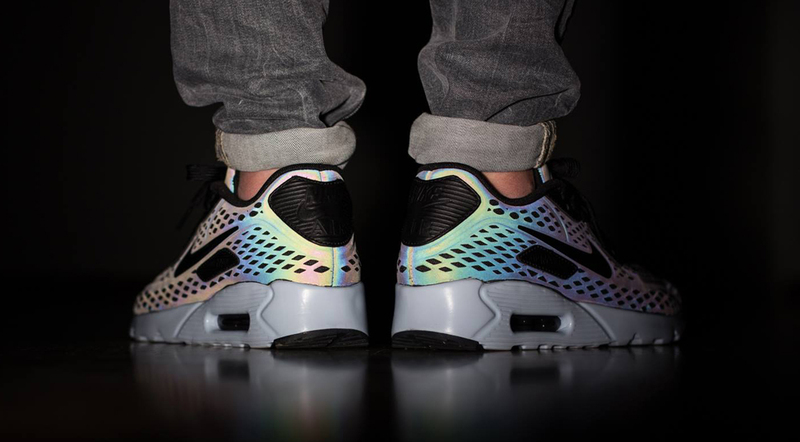 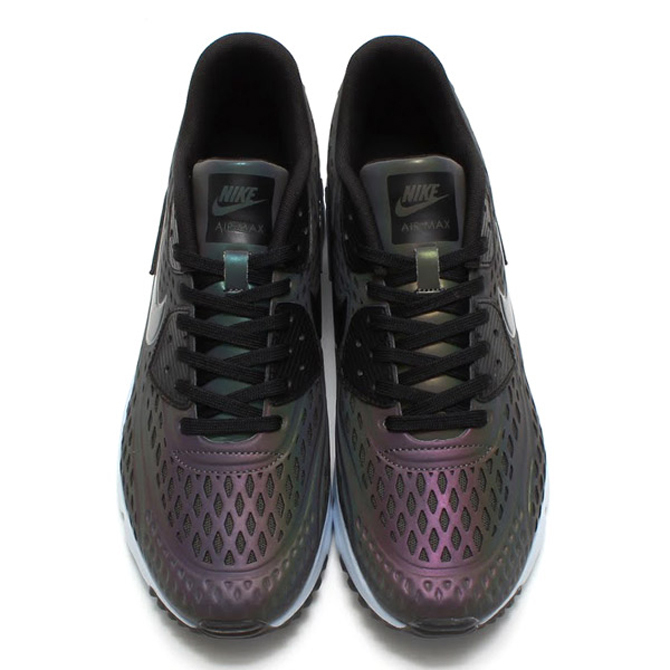 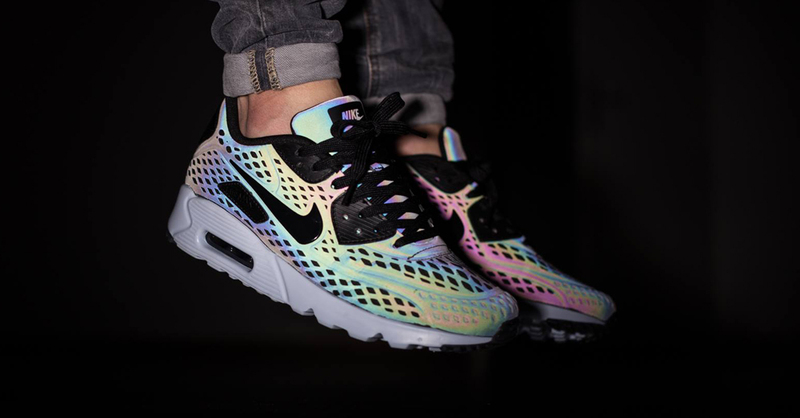 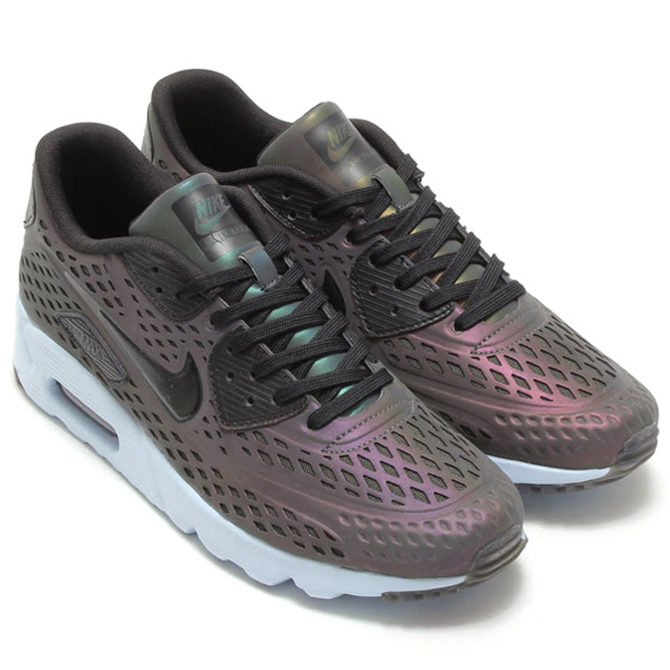 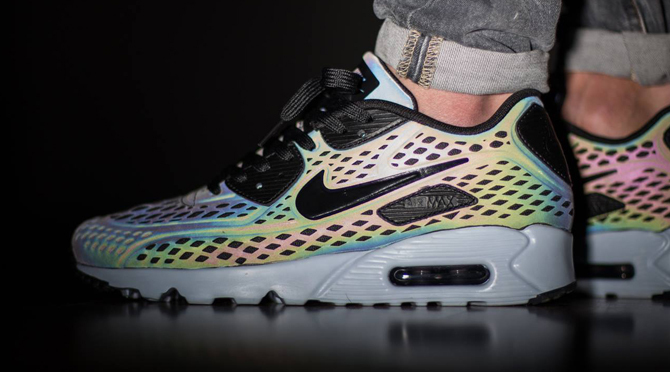 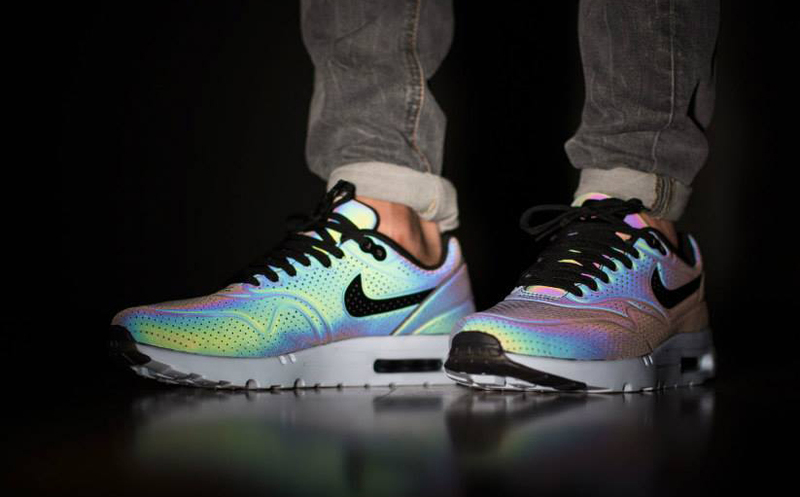 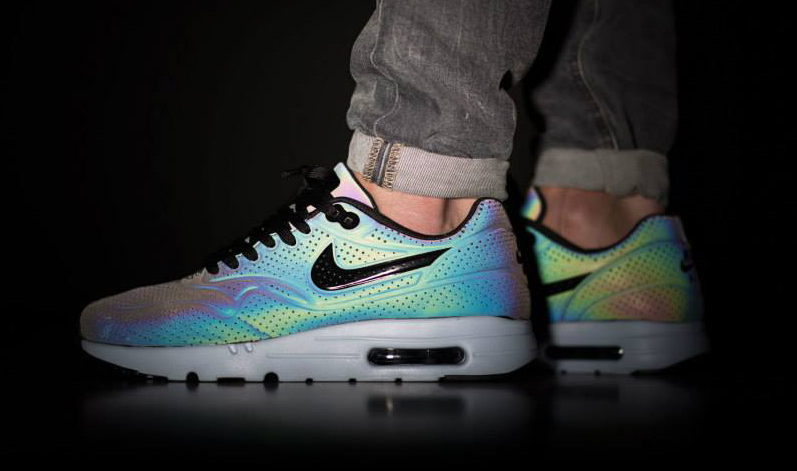 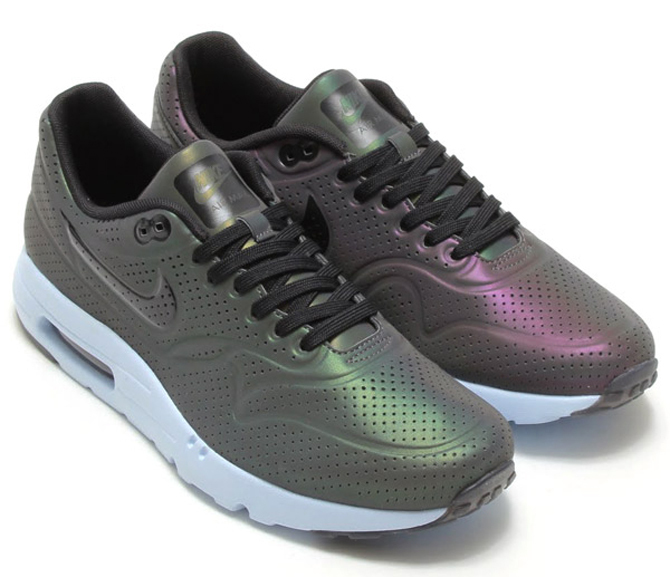 UPDATE 5/13: Nikestore is releasing the iridescent Air Max collection at 10 am EST on May 14. 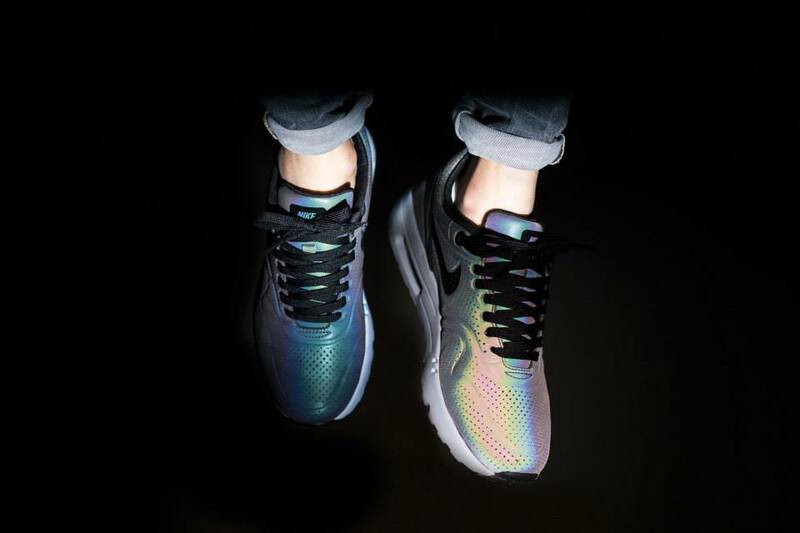 UPDATE 4/9: On-feet images for the Nike Air Max "Iridescent" pack, which is available now at Titolo.